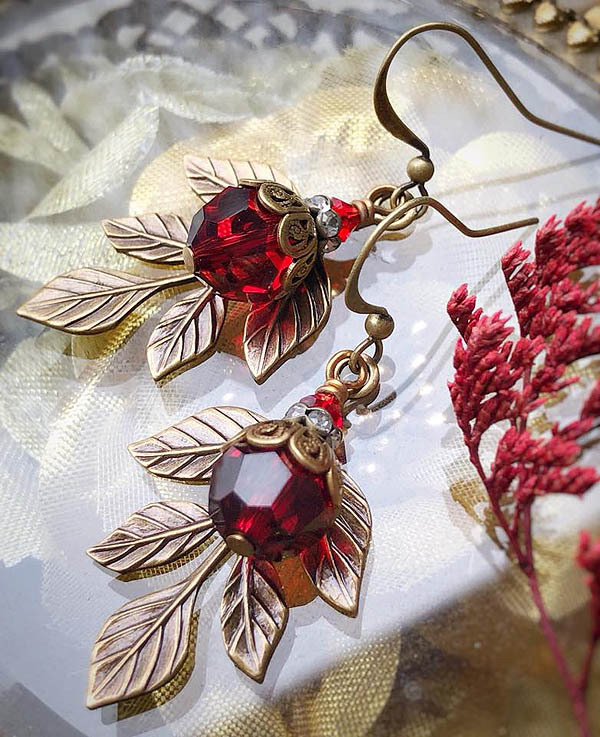 Simple, graceful and sweet with antique brass tone metal and 10mm holiday red Swarovski faceted rounds, ornate bead caps and smaller bright red bicones along with beautiful branch style leaves, these earrings are gorgeous for Christmas. Very lightweight. Due to the design on this pair, I cannot substitute the ear hook style.